There are simple tricks to use to fool the eye to believing a room looks bigger. Here is a list of tips you can keep in mind when you are doing renovations and want to make a room appear larger than it is. Tip 1: Use light colours and clear contrasts. The next time you visit DIY Depot and are trying to choose the best colour scheme for your home. Remember that when you choose a light colour, it makes the room brighter as lighter colours are more reflective, leading to the illusion that the room is bigger. Dark colours on the other hand absorb light making the room look smaller. For an optimal effect, choose soft tones of off white, blue and beige. You can also create a contrast by painting the walls a different shade to that of your ceiling trim. Tip 2: Lighting is key. Allow the natural light to enter into the room, this will make the room appear larger. If you however do not have natural light, you can achieve this with light fixtures that can make a huge difference. A good idea would also to eliminate excessive clutter that restricts ligt from coming in. You can also choose light curtaining for your windows to allow more light to enter into the room. Tip 3: Mirrors are a big deal. When you place mirrors in a room as a focal point or angle it to reflect both natural and artifical light this will allow a room to seem larger. Mirrors on walls will also give the effect of an open feel. Sometimes furniture can take up a lot of space. Try using multifunctional furniture that can serve more than one purpose, for example, a chest that can be used for storage as well as a coffee table. This will allow more light to enter into the room, more walking room and space. Tall furniture can make a room ceiling seem lower, therefore using furniture that is low creates the illusion of a high volume room which seems bigger. 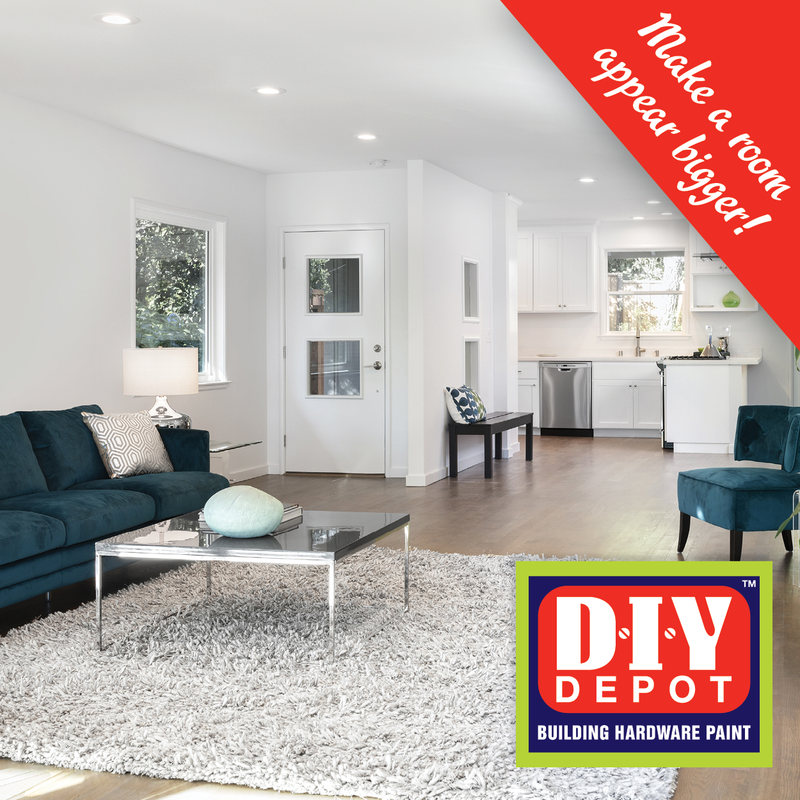 Remember to visit your nearest DIY Depot for all your DIY tools, adhesives, paints and more.